Hey hey! Let's dive into a fun round of Tuesdays at Ten June features. 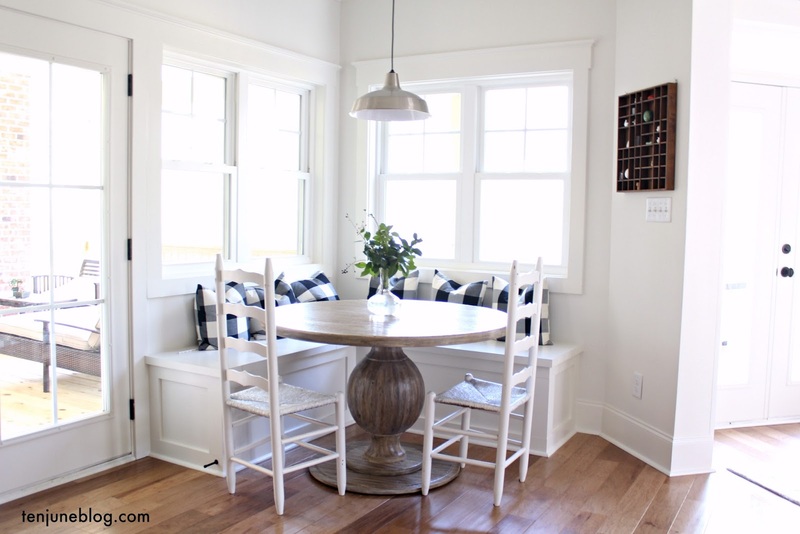 How smart is this DIY West Elm inspired mirror from Kayla at Home Coming? 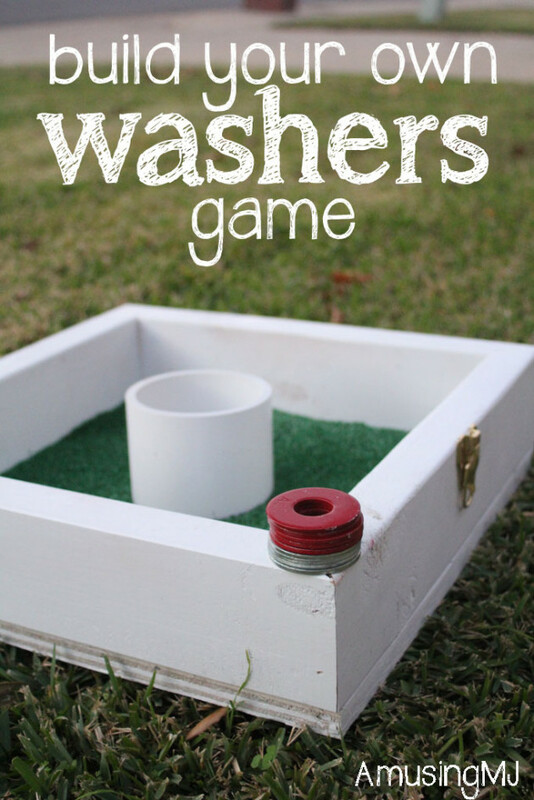 Spruce up your next tailgate party with this DIY washers game from Amusing MJ. I think all of us mommas can relate to this one... need a little quiet time while you're getting ready in the bathroom? Sometimes I get to the point where I just let H unroll the entire toilet paper roll just so I can get my teeth brushed and a swipe of mascara in my eyes! Emily over at Dear Owen took matters into her own hands and created a baby play space in one of her old bathroom cabinets. Genius! Did you see the amazing Home Depot holiday style challenge from Grace at A Storied Style? I was seriously blown away. Gorgeous right? Check out the post for more photos and DIY tips. And check out my Home Depot holiday style challenge post right here if you haven't already! I seriously can't wait for this holiday season and all of the fun decorating and projects ahead of us. Send me your holiday and Christmas projects and decorating tips for the next Tuesday at Ten June! Love that first mirror! Definitely checking it out! Thanks for featuring our little project! Love all the other features!!! That mirror is awesome!! People are so talented. Why don't I think of these things?! :) That Christmas living room is gorgeous!!! I've loved it ever since first seeing it too. Again, the talent people have....I'm always amazed. How do I enter for Tuesdays at Ten June? Wanting to submit my Joy Sign…. Let me know if there is another way I should submit it. Thanks, Michelle! Superb roundup. I love that beautiful mirror and get new idea for play store space. You design incredibly your living room for his Christmas and looking really gorgeous. Thanks for this awesome post. Wish you a memorable Christmas.